Appearance: Smooth white background with striking random charcoal veins, which bring character and drama to any project. Properties: White Amazon has excellent properties, including frost resistance and minimal acid sensitivity. 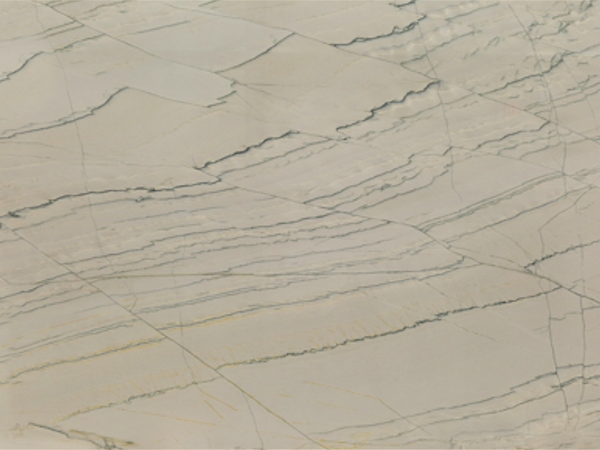 Colour variations and movement occur at all times and are part of the beauty of the stone. It is recommended to seal this stone to extend its longevity. Use: As a quartzite, White Amazon is more durable and easier to maintain than many other natural stone.Due to its excellent technical characteristics and performance, this quartzite is suitable for all internal and external uses, including floor, wall cladding, kitchen worktops and other bespoke stonework in private and public environments.